Hello Friends! I hope you are well. 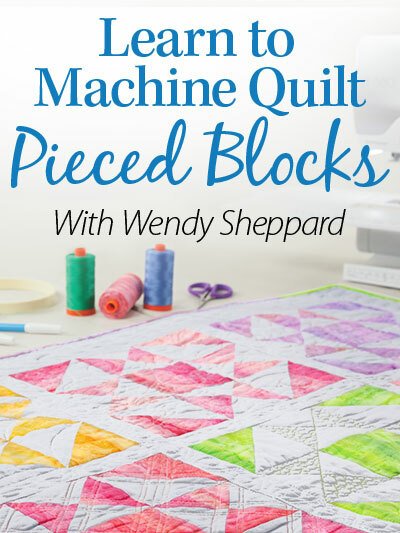 I did return home safely after my whirlwind Spring Quilt Market adventure! I shall share a bit about that in a different post. 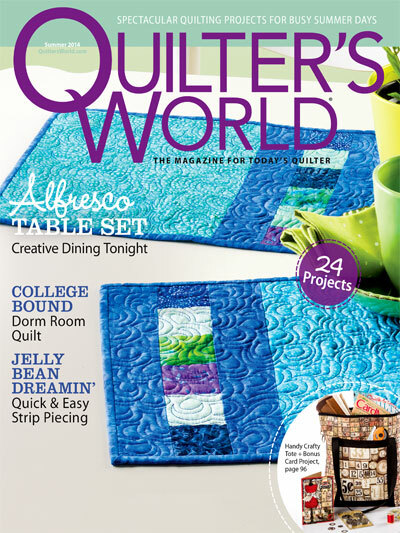 For now, I am excited to share with you one of my newly featured magazine quilt, Starry Repetitions. 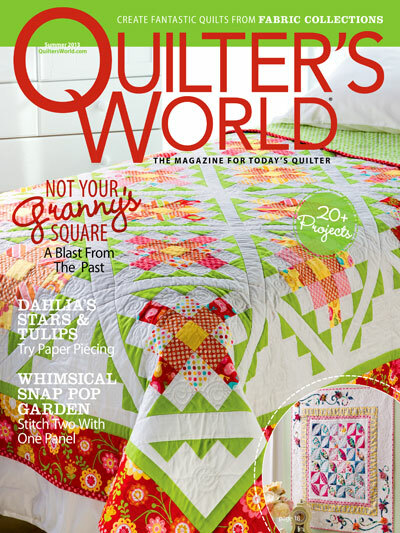 Starry Repetitions is being featured in Quilter’s World summer 2014 issue. 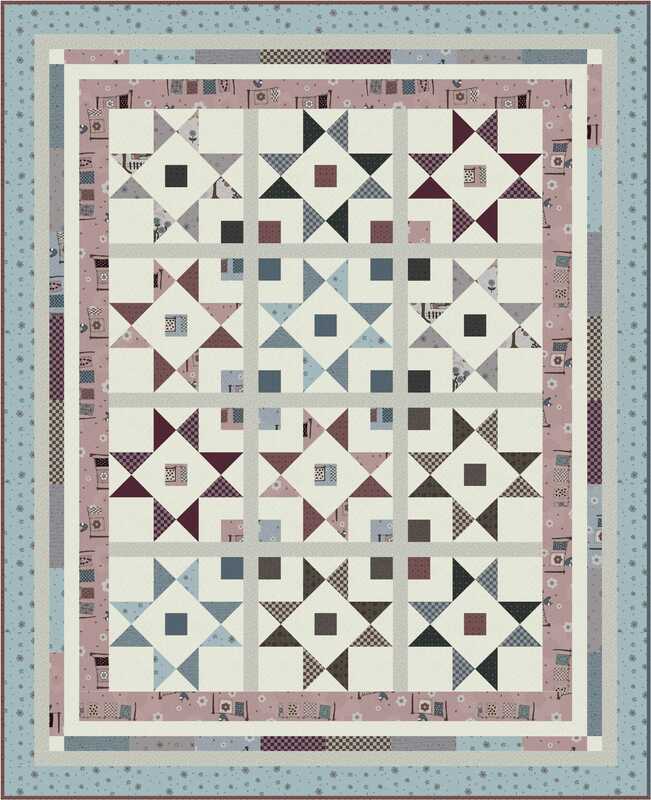 Starry Repetitions uses easily constructed stars in fresh fabrics to give the quilt a slightly contemporary feel to the overall appearance. 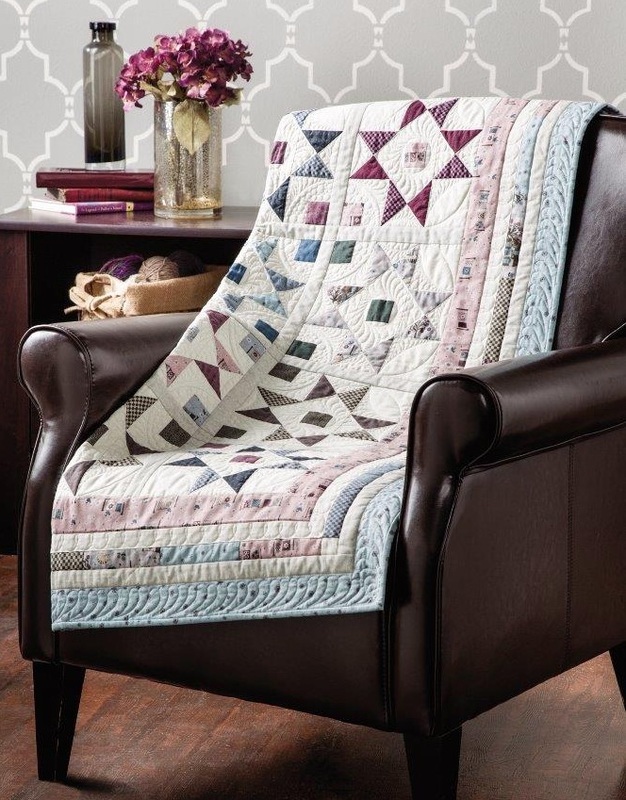 You will love these very sweet fabrics – be sure you check them out! 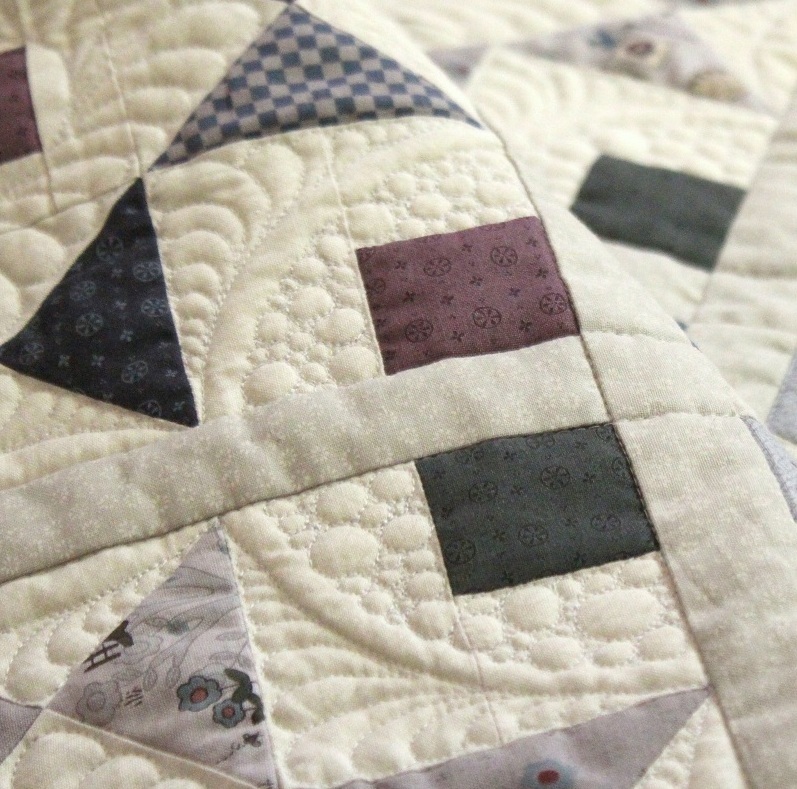 I think my favorite part about this quilt is the quilting! 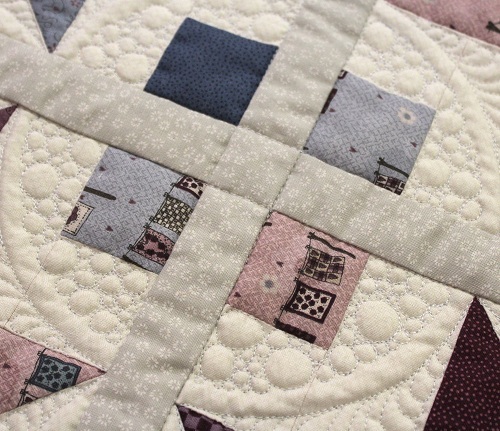 I quilted my “Blueberry Pie” motif — it is just a fancy application of pebbles — on the quilt. 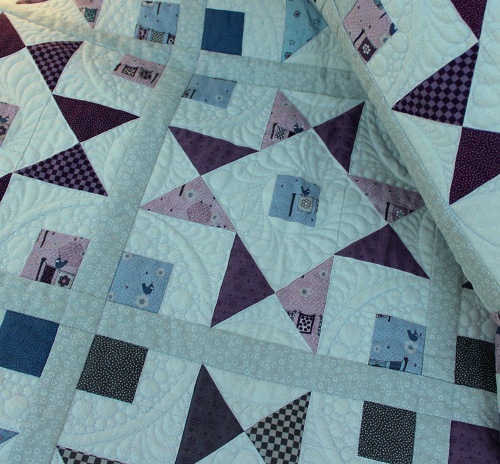 Quilting was done using Aurifil Mako 50 cotton threads over Hobbs Tuscany Silk batting. I hope you have a lovely start to your week! I will be working on a couple of new projects this week in addition to finishing up a few things I started but didn’t complete before I left for Market. I shall catch up with you later! 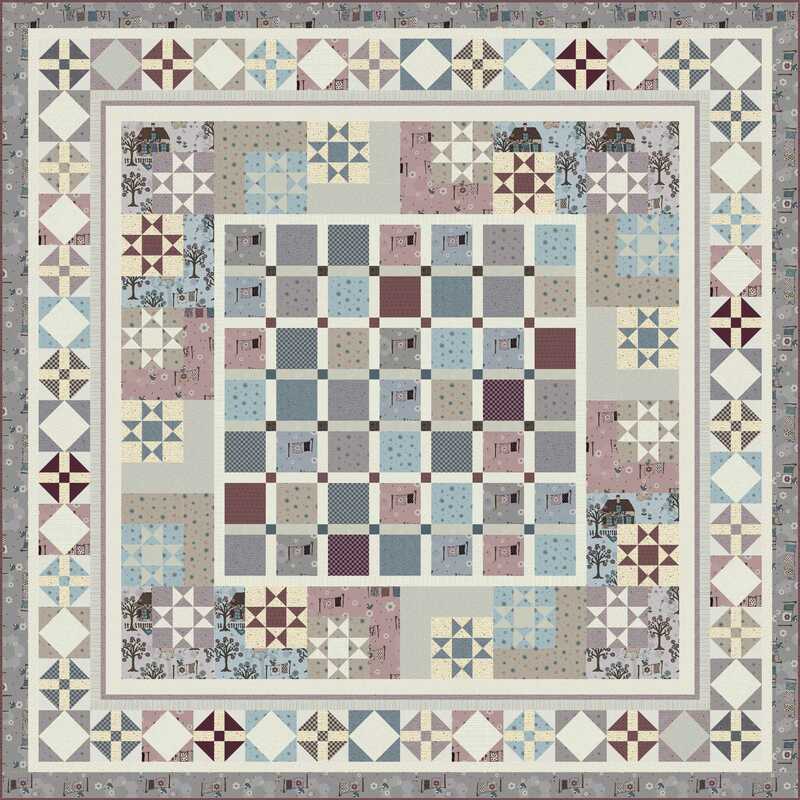 This entry was posted in Quilt Pattern, Quilting, Quilts & Projects: Published, Quilts: Pieced and tagged Lynette Anderson's Quilters Garden Fabric Collection, Quilter's World Summer 2014, RJR Fabrics, Wendy Sheppard Designs. Bookmark the permalink. 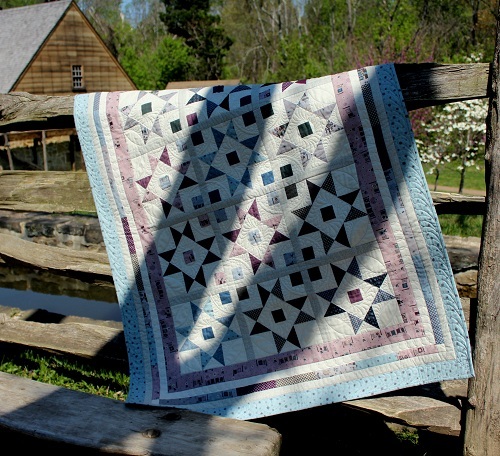 Love your Starry quilt. 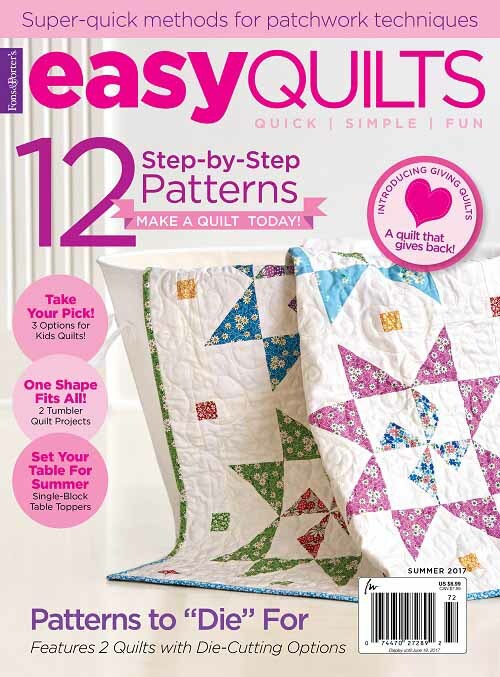 And what a great choice of quilting designs. That is so neat, the circles with pebbles and feathers around the squares. Looks amazing! Very nice, Wendy. So glad you made it there and back again. It’s an adventure flying on the East coast! 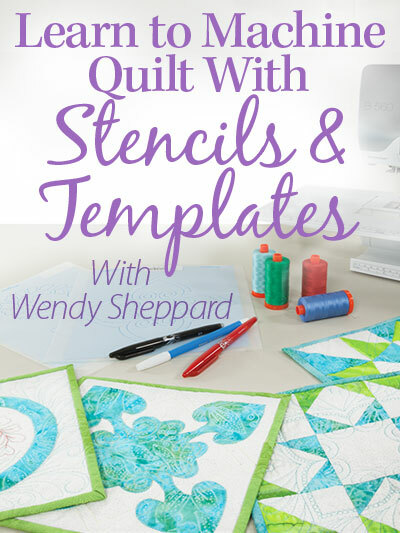 Wow Wendy, You do some really amazing quilting…I love the Starry quilt too. 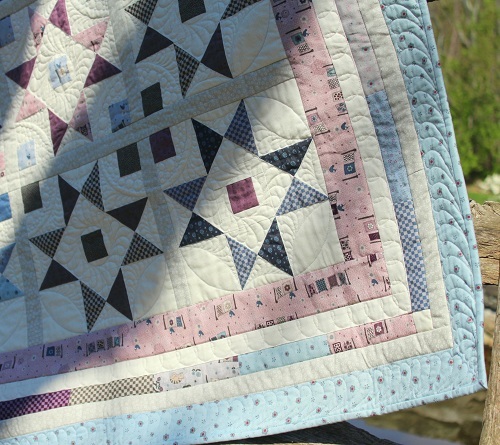 Lynette Anderson has some lovely fabric and designs and she is such a lovely lady…. I met her on a few occasions when visiting her store. 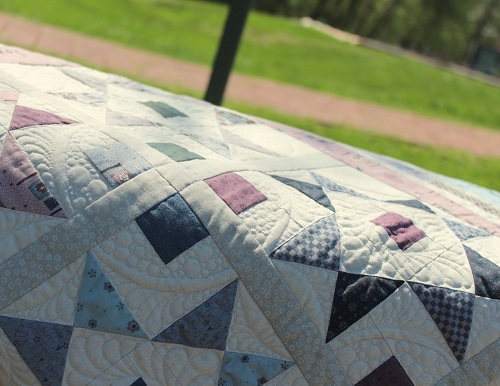 Your work is always beautiful and this post is just another testament to that! 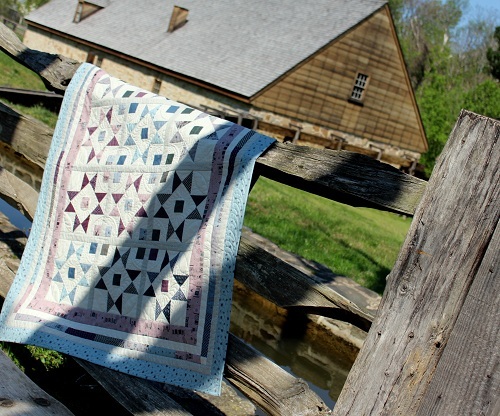 I would really like to make the Towne Square quilt, colors are so soft. I note the “be sure to use the updated version” note. My question is how do I know I have the updated version? Thanks for your help. 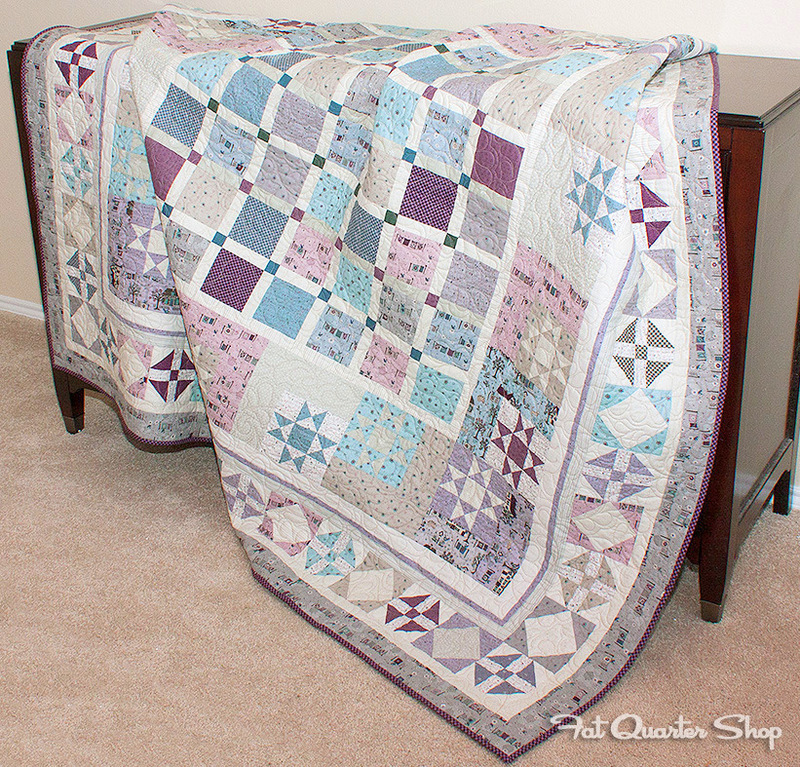 Love this beautiful starry quilt! 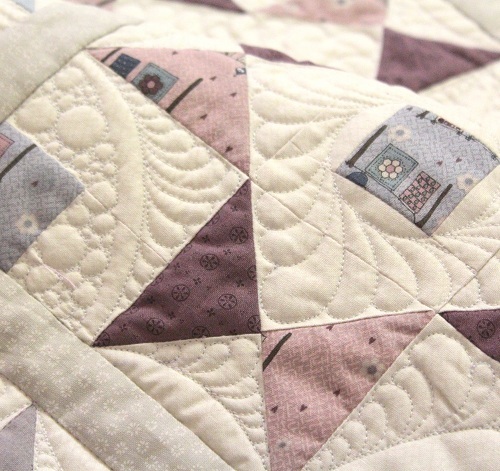 Your varying pebbles really do add to the modern feel of the quilt! 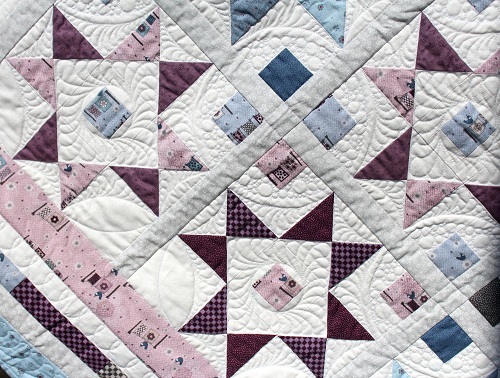 The pieced border draws the eye around the quilt, too. Great job! That would go very nicely in my house. 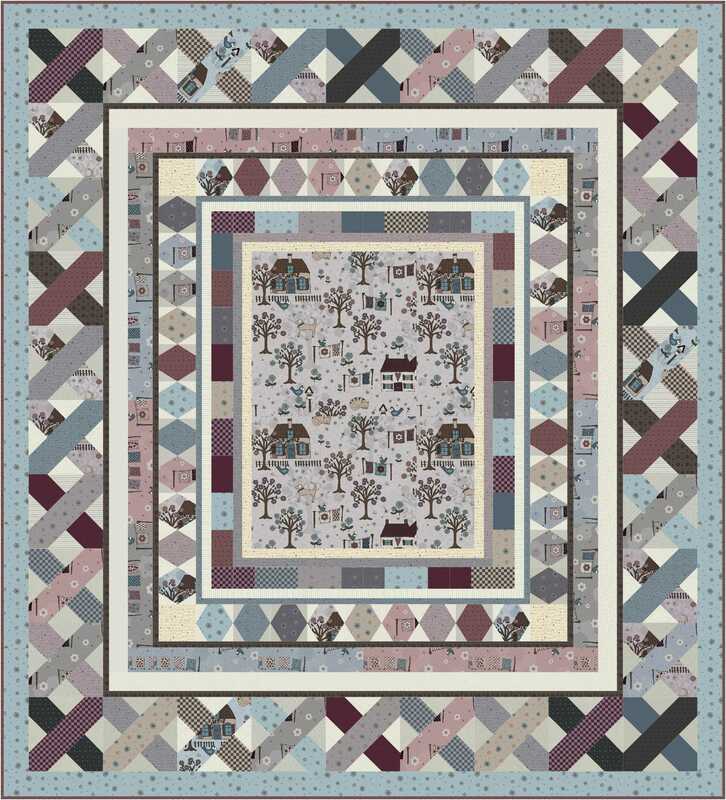 :-) Love those fabrics, and though I enjoy new designs, I like the old-fashioned feel of this one. 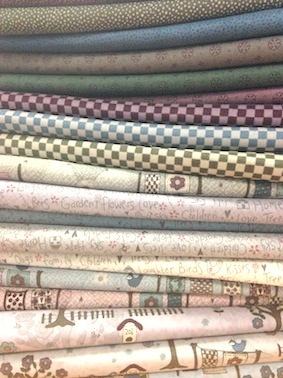 These fabrics are just so peaceful. 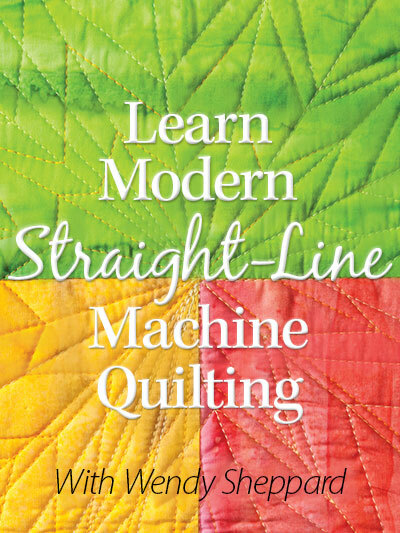 I like the quilting! Pretty pretty! Gorgeous! 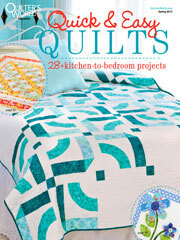 I love all your quilts and quilting. Have a great day!